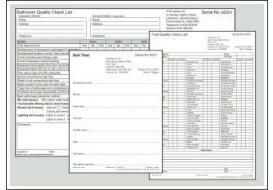 Personalised Plumbing and Gas Certificates with serial numbers and all your details pre-printed, including the Landlord Homeowner Gas Safety Record, Warning Advice Notices and Service Maintenance Check Lists. 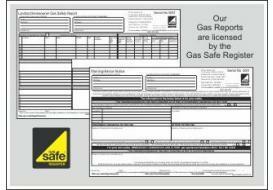 Our comprehensive range of Gas Certificates is licensed by the Gas Safe Register. A full range of Personalised Plumbing Certificates including Commissioning of Water Pipework, Final and Bathroom Quality Check Lists and Central Heating Cleaning. New to this section is the Legionella Risk Assessment Certificates. 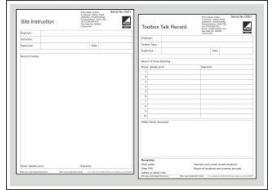 A range of general reports including certifcates for Air Conditioning Servicing, Pump Service Sheets, Site Instruction Forms and Toolbox Talk Record books. All books are A4 2 part (1 NCR, 1 left in book) and available in sets of 25. 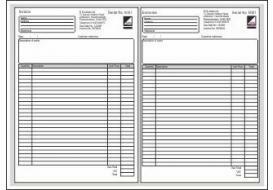 Our books come with serial numbers and all your details pre-printed and are bound together with a strong binding strip.